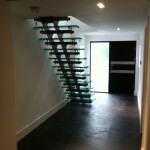 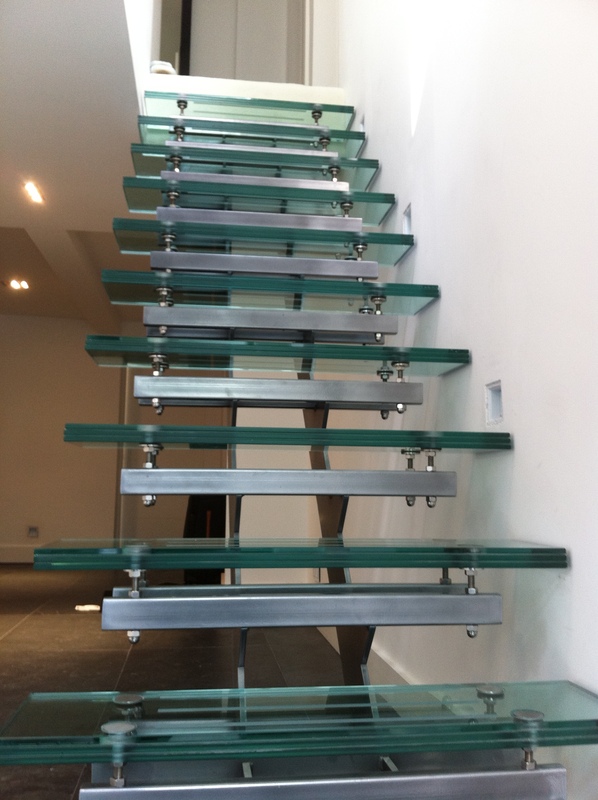 Details: Our private client wanted a new feature staircase to go into her new designer home. 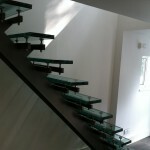 A top finish was very important as well as achieving the right look. 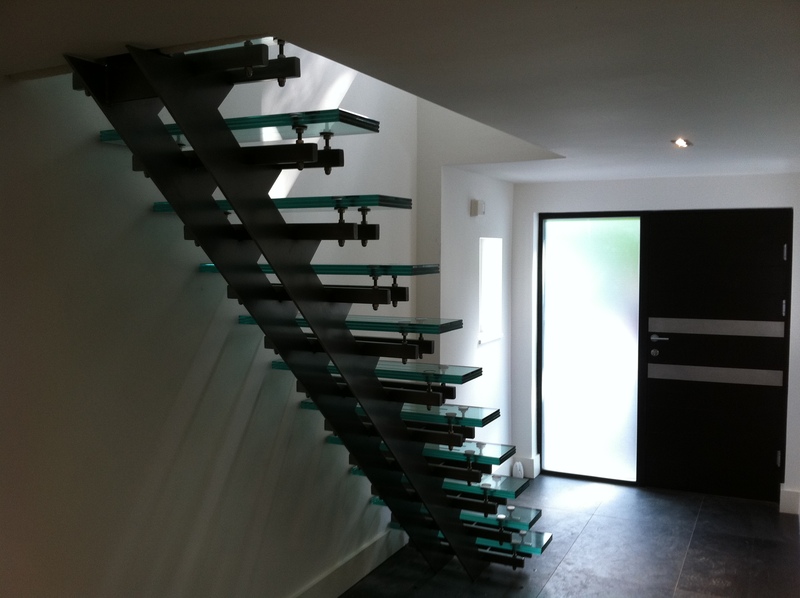 The two central spines are manufactured from mild steel and powder coated grey. 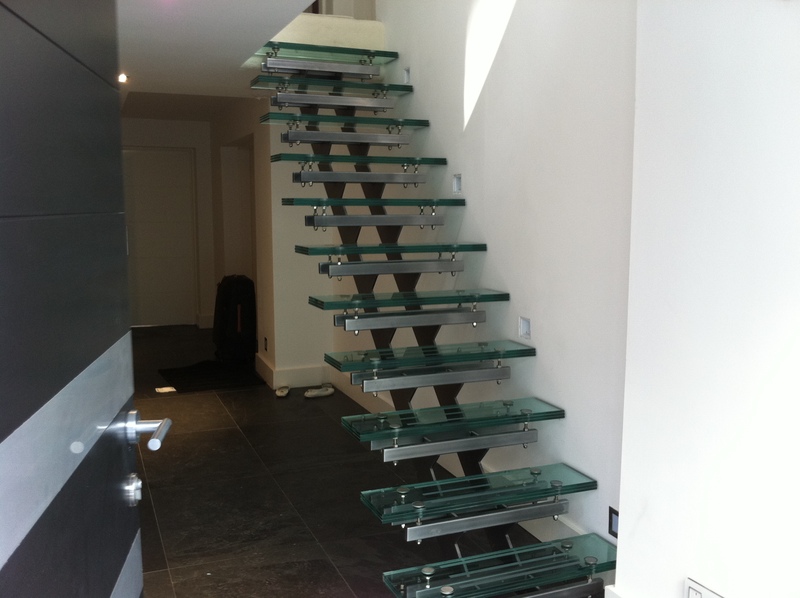 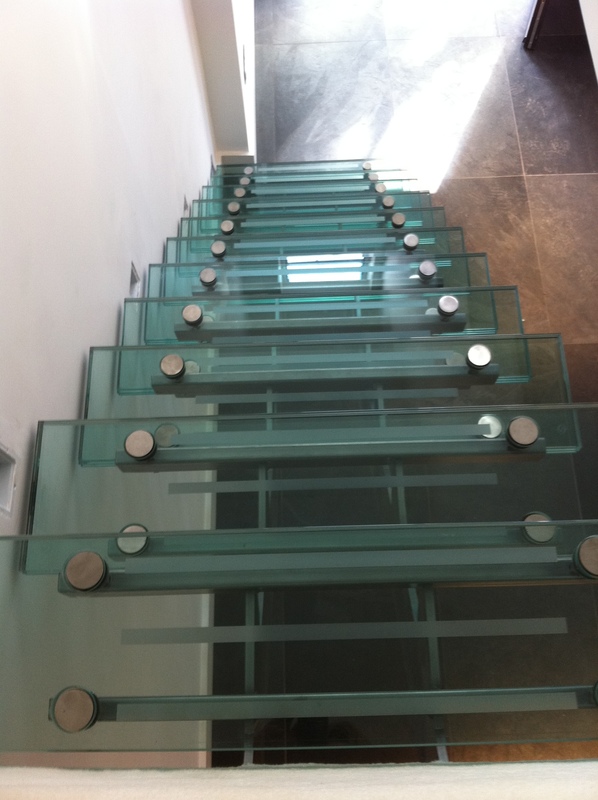 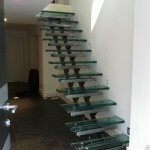 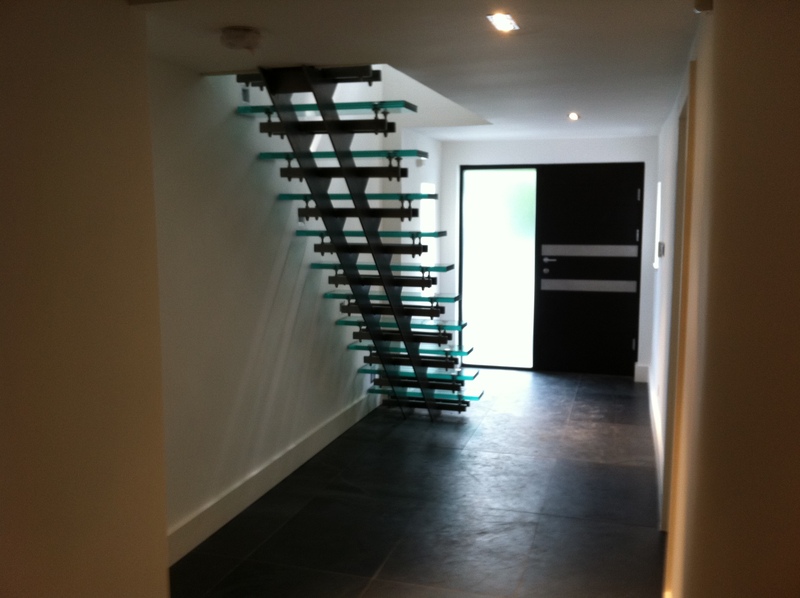 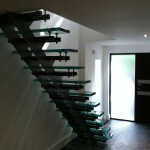 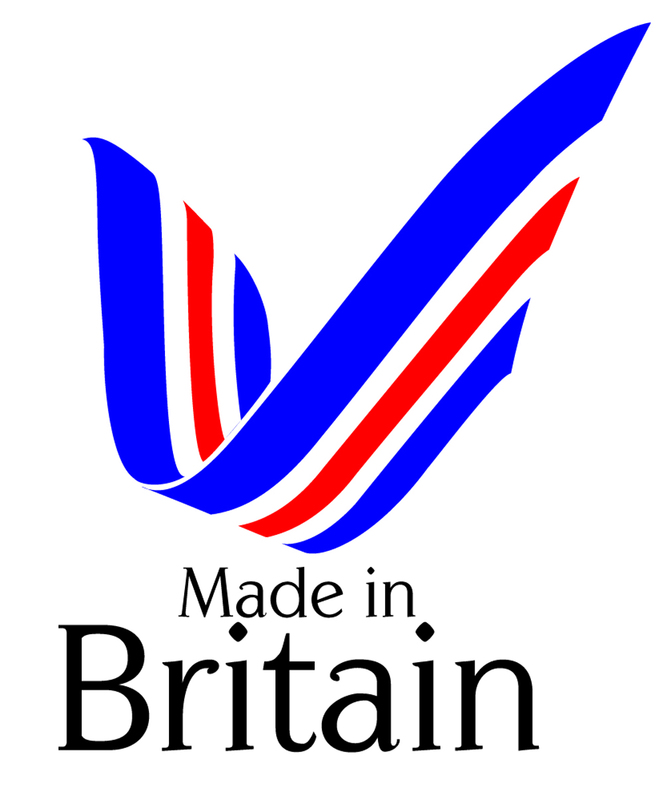 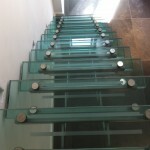 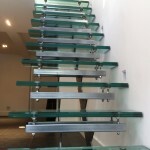 The stair treads are 3 off pieces of 10mm thick glass, laminated together (total thickness 33mm) with anti-slip strips etched onto the top layer. 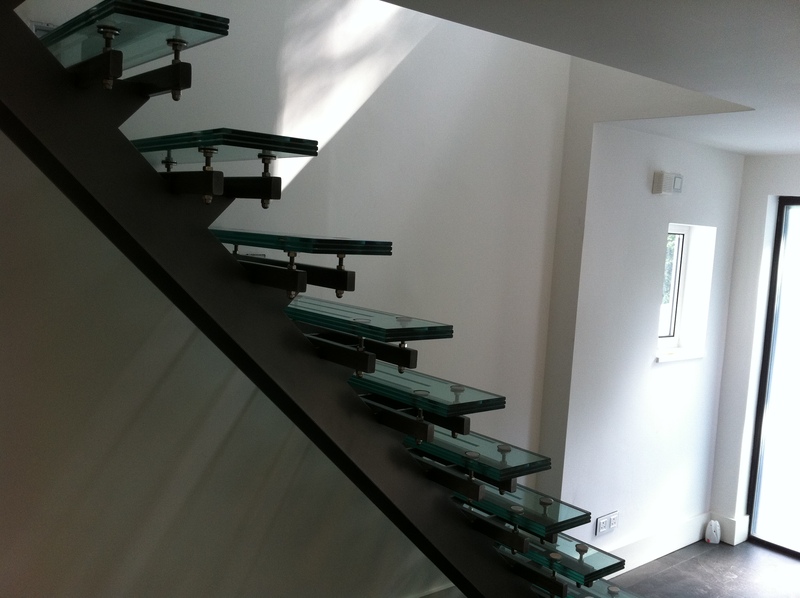 The stainless steel fittings required were specially fabricated by ourselves.